Nowadays we are being increasingly supported by the provision of new and rapidly changing technologies that aim at making our day-to-day life easier. Surprisingly, there is one very common appliance which we use several times a day which has not changed since its invention: our toilet. The most commonly used toilet in the western society is the “sitting type” toilet. Considering the diversity of human beings and the different needs and preferences in the area of personal hygiene, it is to emphasise that there are significant number of shortcomings of common standard toilets. These shortcomings can be very problematic and can represent huge barriers for older persons and persons with limited mobility. 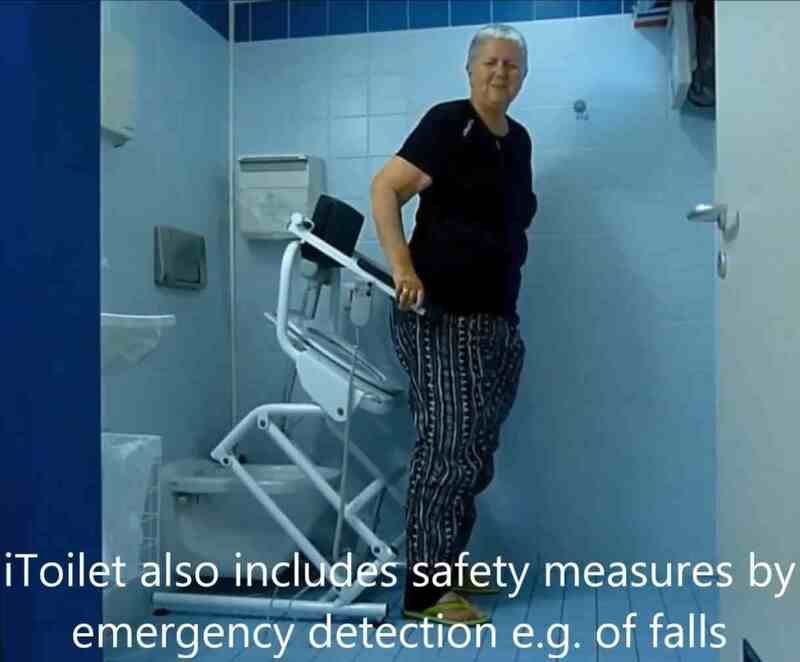 Studies have shown that a significant number (nearly 25%) of older persons’ state that when using a toilet they are always afraid that something could happen to them (e.g. falling). More than 50% agreed that it applies at least to some extent that they avoid going out longer in order not to need to use (an inadequate) toilet. The iToilet proposal addresses these needs of older (or physically challenged) persons when using a toilet by envisioning a supportive ICT enhanced toilet adapting to the individual user needs of older end-users. The project also addresses the needs of care persons when providing assistance to primary users in the toilet room. 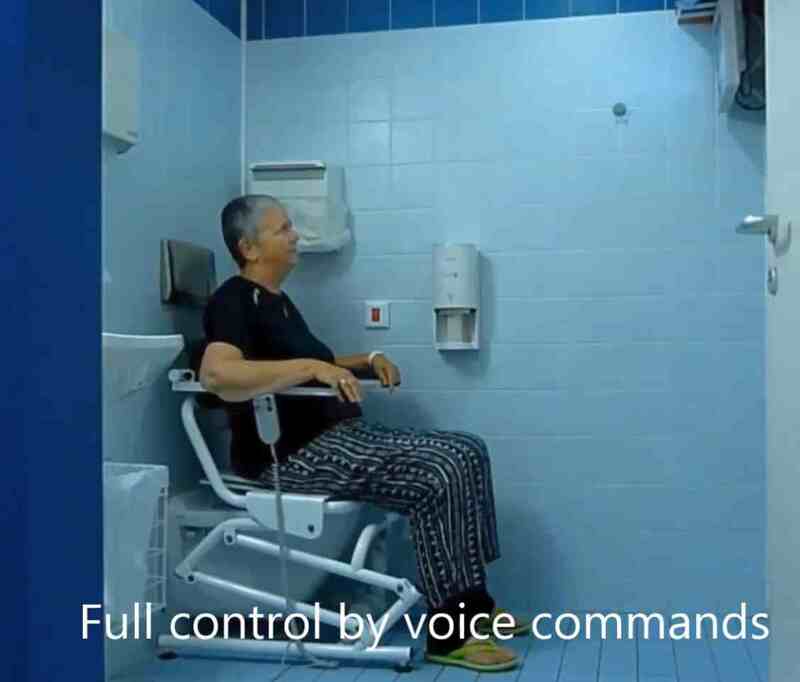 iToilet develops an advanced integrated prototype of an assistive toilet that is able to adjust its height and tilt according to user preferences. It will be equipped with a state of the art ICT system including sensors (e.g. position, movement, weight), inference of normal and abnormal situations (e.g. a fall) and integrated modules for speech input and automatic adaption of the toilet to the individual needs of the current user. The iToilet toilet system also will provide emergency call procedures and interfaces to care documentation systems. This vision of the project’s objectives and motivation was co-created among an RTD partner, a USER partner and an SME partner of the iToilet consortium. 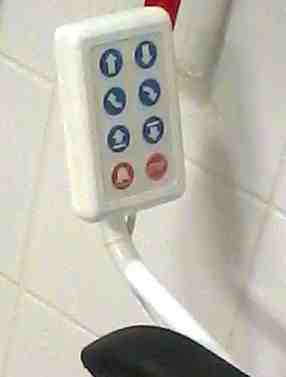 primary end-users’ dignity and independence, by its ability to enhance body stability when sitting on the toilet (individually adjustable optimum height, hands are free for handles), by supporting the sitting down and standing up process (dynamic adaptation of tilt and height), and by increased safety via emergency detection. 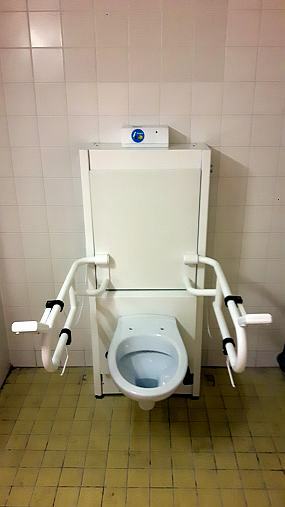 secondary users/care persons, for which the burden on their shoulders when assisting the end user will be reduced when support is provided by the toilet itself. care institutions, because the toilet will not only enhance the care service offered to the clients but also will enhance health and well-being of the employees by reduced physical demands during personal assistance provision (e.g. transfer wheelchair / toilet). 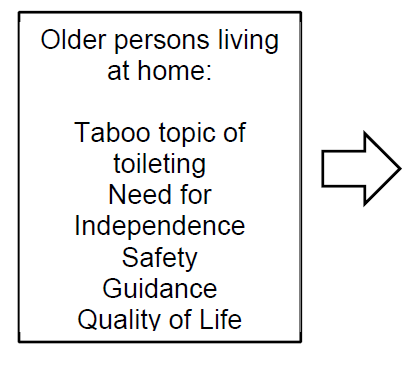 While the iToilet project focuses on supporting older persons living at their own home, the exploitation considers not only the private but also institutional market and care provision services. 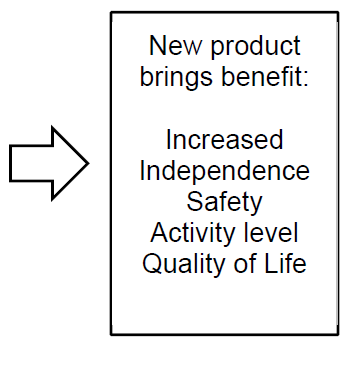 The commercialisation of the prototype foresees a modular product which allows offering customisation of the product functionality according to the individual customer’s needs and wishes. This concept is also sustainable as it allows adding future developments (e.g. assistance for persons with dementia). Beside the commercial exploitation, the final project prototype and the gained knowledge will also be used for further RTD activities beyond the completion of the project, e.g. guidance for mild cognitive impairment (MCI). iToilet follows a strictly user centred approach. The user involvement covers among others participative design, laboratory trials and evaluation of the prototype system in the field. The two user sites located in in Austria (Vienna) and Hungary (Budapest) will carry out this task. The intention is to develop a toilet system for private and for institutional use. Field evaluation in an institutional setting ensures the involvement of a relevant number of end-users living at home with a significant diversity while at the same time guaranteeing professional support by experienced experts. 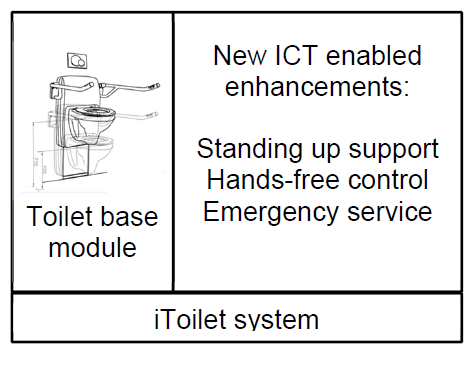 The ICT enhanced assistive toilet module is the core. Around this core, the consortium plans to set up several services. These services (e.g. care documentation, fall detection) bring added value for institutions and the formal care personnel in institutions as well as for end-users in a private setting (e.g. fall detection service including connection to emergency centres; inference of long term usage changes of toilet use) The consortium brings in outstanding experience in AAL research, as well as knowledge of the national and European sanitary market and market share. The user partner NIMR is a well-known hospital with high expertise in rehabilitation research in Hungary. CS is a large care provider in Vienna operating stationary care stations, offering mobile care in private homes, running day care centers supporting older persons living independently at home. 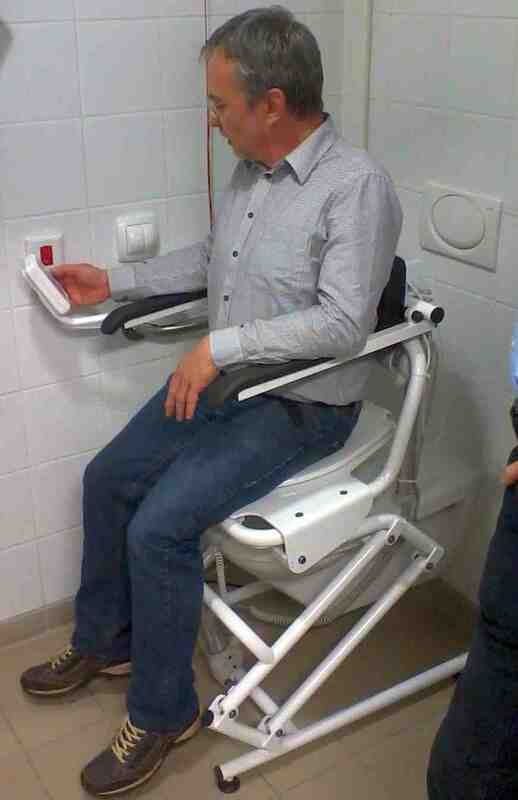 The clients and professionals of CS have long term experiences with a basic version of height and tilt adjustable assistive toilet and are the originator of the iToilet project vision as they expect an even bigger added value if the current version is enhanced with the additional functionality. In the beginning of the project the iToilet idea was first verified by a user requirements collection (current problems – envisaged functions). A prioritized list of requirements was made from user response (including primary, secondary and tertiary users). The findings support the iToilet approach. 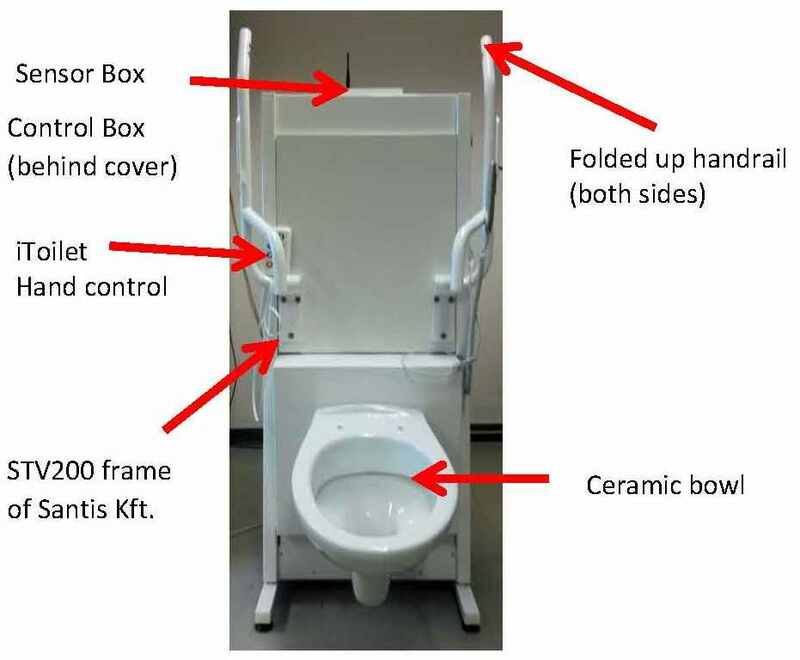 For the first prototype generation (2 units of Prototype 1 were built) the chair-like toilet base module was modified and combined with other required ICT modules to allow supervised hands on testing. In parallel to the technical development participatory design activities were carried out. The laboratory user trials with PT1 were carried out in May/June 2017 and the results are documented in D3.2 and include recommendations for Prototype 2. 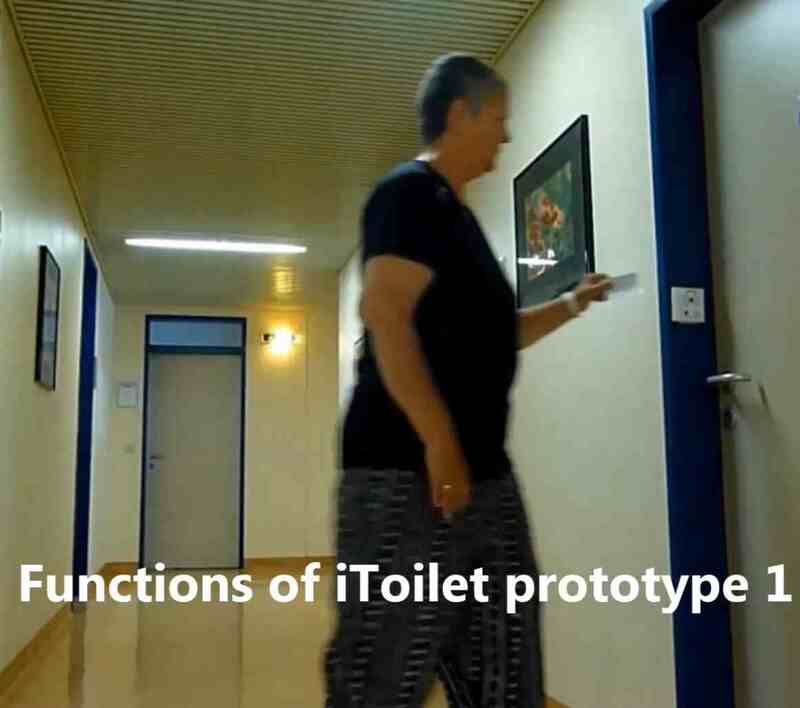 A video recording demonstrating the features of the iToilet prototype 1 can be downloaded here (MP4 file, in German with captions in English). The components of PT1 have been improved for PT1+ and for the upcoming second prototype generation (PT2). The existing PT1 prototypes were upgraded to PT1+ by adding improved and further components. Two PT1+ units were available at NIMR and CS and another round of laboratory tests with PT1+ was carried out with the improved components. 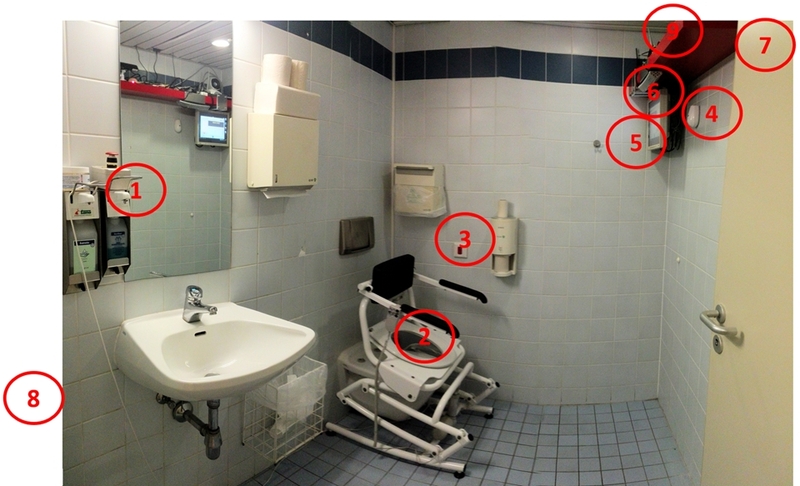 PT1+ brought a higher level of integraton of different ICT components (behind the rear part of the toilet seat) and more advanced modules, e.g. hand held remote control for improved user interaction. Two units of the second prototype generation (PT2) using the LiftWC (from Santis Kft.) as toilet base module were built and equipped with additional and improved ICT modules. The PT2 units were installed at partner NIMR on 19 February 2018 and at partner CS on April 25. Step by step the PT2 system has been tested and fine-tuned to prepare and confirm the readiness for field trials. A short video showing iToilet prototype 1 and 2 can be downloaded here (MP4 file, with captions in English). A video with a user explaining the final Austrian iToilet prototype 2 can be downloaded here (MP4 file, with captions in English). Short video with a user on the Hungarian iToilet prototype 2 (MP4 file, with captions in English). After overcoming some technical problems and optimising the local set up initial technical tests and expert tests with PT2 have been passed successfully. The consortium has started the field tests with PT2 in end of June and finished them in August on both user test sites. First evaluation results look promising. The consortium is also working on the final business model, on several technical improvements for the future iToilet product and on many dissemination activities and scientific publications. iToilet products are expected to become available in 2019.